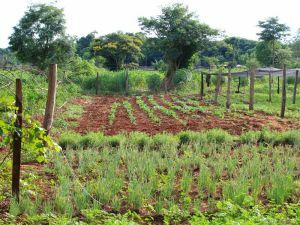 This article gives a brief history of ‘Climate Smart Agriculture’, and shows how currently the term can equally be applied to both industrial monocultures and agroecology. The level of corporate interest is high, including Monsanto, Walmart, Danone, and the big fertiliser companies. France, a keen member of the Global Alliance for ‘Climate-Smart Agriculture’ (GACSA), and the host for December 2015 climate conference in Paris (COP21), has developed a proposal that risks defining the soil as a giant carbon sink to offset continued emissions. We have to assume the concept of 'Climate Smart Agriculture' is intended to divide and confuse, and ultimately promote the very model of industrial agriculture that is already contributing so massively to climate change.